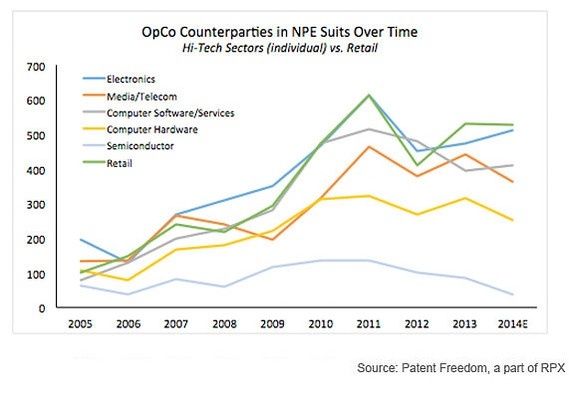 Why the increase in patent litigation for this particular sector? The answer, in short, is the technology necessary to please the buying public. 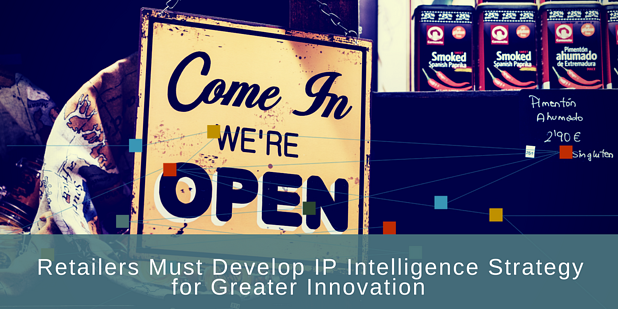 Retailers, however, had little experience with innovation and IP intelligence. Brick-and-mortar locations that wanted to survive had to make the transition to ecommerce models, but without that experience in intellectual property strategy, the move into the tech space came with myriad lawsuits. In many cases, the NPEs that owned many of the patents being enforced through litigation were not the entities that files the original patents. Instead, these “patent trolls” snapped up patents that were about to expire and renewed them for the express purpose of pursuing patent litigation. How can any company protect themselves from this type of activity, especially when even the largest of corporations—including the tech-savvy Twitter, Inc. and NetSuite, Inc.—are vulnerable? Innovation is important if you want to continue competing in the current climate. With the arrival of Amazon, all brick-and-mortar retailers, WalMart included, realized online sales were important if they wanted not just to keep up, but to ultimately survive. That realization led companies everywhere to begin developing an ecommerce strategy, but in most cases, innovation came before IP intelligence. Retailers do need to continue creating shopping experiences on their websites that buyers love, and that means using technology that reduces friction and provides excellent customer service. Unfortunately, much of the technology that makes these things possible has already been patented, leaving a veritable minefield for retailers to navigate. A comprehensive study of the patents already filed can assist corporations with their innovation. The assistance of a consultant who can guide the journey through the IP landscape is essential, as a simple software search won’t help to identify the various connections between filed patents. Some of the most popular ecommerce features have long been patented by both legitimate entities and NPEs. These include the 1-click purchase and online gift cards patented by Amazon, and progress bars and clickable links within emails by Apple. These are easy enough to find and license for your own use, as long as you’re looking. Many jump right in without looking. Intellectual property can resemble muddy waters for companies planning growth. Without guidance from a seasoned consultant, corporations may not make connections between current patents and technology planned for their own innovations. This is where NPEs often leap, forcing litigation for a patent that provides a “system and method for verifying a user’s identity in electronic transactions” or “active path menu navigation system.” These are actual patents enforced often, even for the big guys like Yahoo! Inc., BuzzFeed, Inc., Spotify USA, Inc., and NetGear, Inc.—all defendants in patent litigation in 2016. Know before you grow—learn the patents already filed that claim the technology you plan to use. Then you can enter the growth and innovation phase with the licenses you need to employ various devices, or even acquire the intellectual property you need to move forward. Innovation in the retail and ecommerce sector should look to IP analysis first. Imagine how many lawsuits could be avoided if companies sought out the current patents before a cease and desist letter arrived. Not only could black holes be avoided by studying the current patent landscape, but also white space is identified so that new products can be developed. Take a page from Amazon’s book. They’re currently identifying acquisition targets while also eyeing potential disruption opportunities. They don’t want to copy what others are doing to provide friction-free shopping experiences; they want to create something entirely new. You could, too. With the help of an IP consultant, retailers can identify both the current patents available for acquisition or licensing and the areas where disruption is possible. If you’re interested in learning how, give us a call.